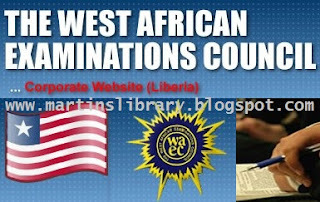 WAEC Liberia Online Services Result Checker website is www.results.liberiawaec.org. The West African Examination Council Liberia has provided simple methods for accessing the WAEC page and checking the results but some Liberians still don't know how to check their results with their computers and mobile phone, so we decided to write this guide to assist anyone who sat for the examination in Liberia with easy procedures on how to check their WAEC results. The steps below can only be applied on the Online Services of W.A.E.C. Liberia: www.liberiawaec.org. UPDATES: WAEC Results has been released online. Note: Only the years for which available results are displayed. Select the "Send a copy to Email?" checkbox if you wish to have a copy of your result sent to your email box. Enter a valid Email Address if you selected the "Send a copy to Email?" option. Note: All fields with (*) are compulsory fields. To award certificates, provided that the certificates did not represent lower standards of attainment than equivalent certificates of examining authorities in the United Kingdom. The Council celebrated its 30 th anniversary in March 1982 in Monrovia , Liberia during which the Convention establishing the WAEC was signed. The Convention was subsequently ratified by member Governments and came into force in August 1984. The Council under the Convention was inaugurated in March 1985. The Convention now gives uniform legal backing to the operations of Council in all the member countries, makes provision for significant changes in the structure of the Council and gives it legal personality as an international body. A Headquarters Agreement signed with the Government of Ghana in 1987 confers certain privileges and immunities on Council's Headquarters in Ghana. 1. WHAT IS A PIN? The PIN stands for Personal Identification Number. In WAEC Liberia Online Information Service, it is a unique 12-digit number that is required to access the service. The service enables direct access to a candidate's result. The PIN is found on a valid WAEC Liberia Online Information Service Scratch Card and is revealed when the cover patch on the reverse side of the card is carefully scratched off. 2. WHAT IS A SCRATCH CARD? A Scratch Card is a plastic card with a scratch patch on the reverse side that conceals a PIN required to access the service. The Scratch Card applicable for result checking is marked "Result Checker Card". 3. WHERE CAN I BUY A SCRATCH CARD? 4. HOW MANY TIMES CAN I CHECK MY RESULT? 5. CAN I USE ONE SCRATCH CARD FOR MORE THAN ONE RESULTS? 6. WHAT INFORMATION IS AVAILABLE ON THIS SERVICE? The Secretariat of the Monrovia Office of the West African Examinations Council (WAEC) wishes to inform the general public, especially candidates who sat its Examinations from 1998 to present, that effective June 1, 2015, the Online Result Checker Card will be available at the cost of LD$350.00 to enable candidates access their results. Let this announcement claim the attention of all concerned. Other outlets would be posted soon. 2015/2016 SENIOR HIGH SCHOOL CERTIFICATE EXAMINATION (RESITTER) RESULTS RELEASED!! !